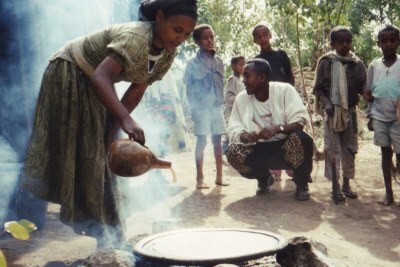 The Ethiopian government is celebrating a major victory in a long-running dispute over who owns the patent for products made from teff - an ancient grain that forms the basis of Ethiopia's staple food, injera. 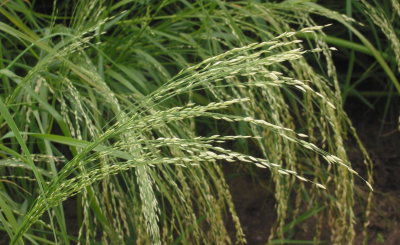 This will enable Ethiopia to supply the product legally to the European market, an opportunity that will motivate farmers to produce more and thereby help the country earn due recognition. 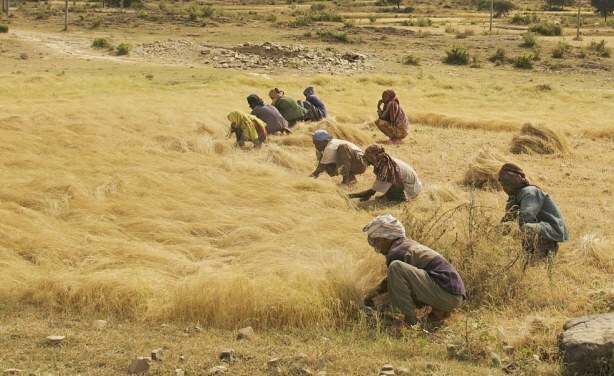 Men and women harvest the Ethiopian staple grain teff in a roadside field between Axum and Adwa in Northern Ethiopia (file photo).